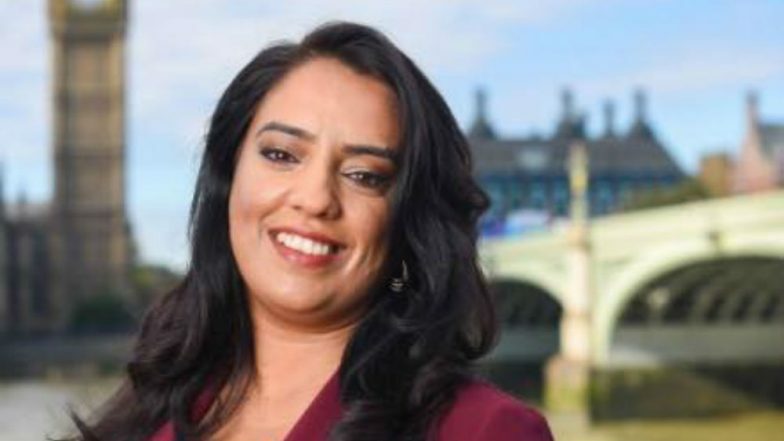 London, April 13: Naz Shah, a Pakistani origin member of British Parliament, said a man masturbated in front of her on a London bus. The incident took place on April and Naz Shah reported to the police about it. No arrest was made so far. The accused was yet to be identified. The Labour Party leader from Bradford West later took to the social media to narrate her ordeal. "I was completely shocked and was feeling sick about it. He casually sat there. I didn''t know what to do with myself. Still feeling sick after reporting indecent sexual behaviour to @metpoliceuk on @TfL bus earlier!" she said in a statement. "I've never experienced anything like that. Women should be allowed to go about their business without this happening," she added. SRM Hostel Staffer Masturbates in Front of Girl Student. She shared a YouTube video in which she discovered that around 90 per cent of people do not report any untoward incidents related to sexual misbehaviour. In her statement, the British MP said that if such incidents go unreported, then it would add to the statistics. She added: "It was really important for me to share the YouTube video." SNDT Hostel Warden in Mumbai Forces Female Student to Strip, Students Protest. "Always report it to ensure it is stamped out. Text What, Where and When to 61016 or call 101," Naz said on Twitter. She further stated that the man "had his bits hanging out" and was masturbating as she got off the bus. Soon she reported it to the driver but the man had gone.